By 1915, the Germans had begun to experiment with very large aircraft known as Riesenflugzeug (giant aircraft). These aircraft had been developed from the G-class bombers and are often referred to as R-planes. In 1916, the potential of such an aircraft to carry heavy bombloads into enemy territory was recognized, and the deficiencies of airships that had been developed to serve in that same role was apparent. Efforts were undertaken to increase R-plane production and withdraw airships from long-range bomber missions. 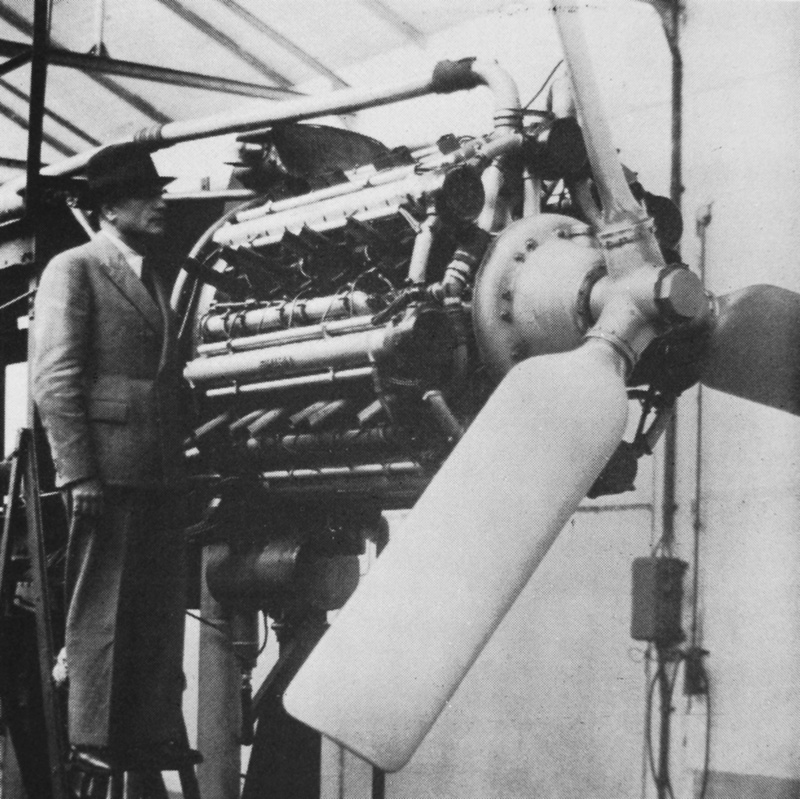 To promote the development of larger and more capable R-planes, larger and more powerful aircraft engines were needed. As early as 1915, the Idflieg (Inspektion der Fliegertruppen or Inspectorate of Flying Troops) had encouraged various German engine manufacturers to develop large aircraft engines capable of 500 hp (375 kW). 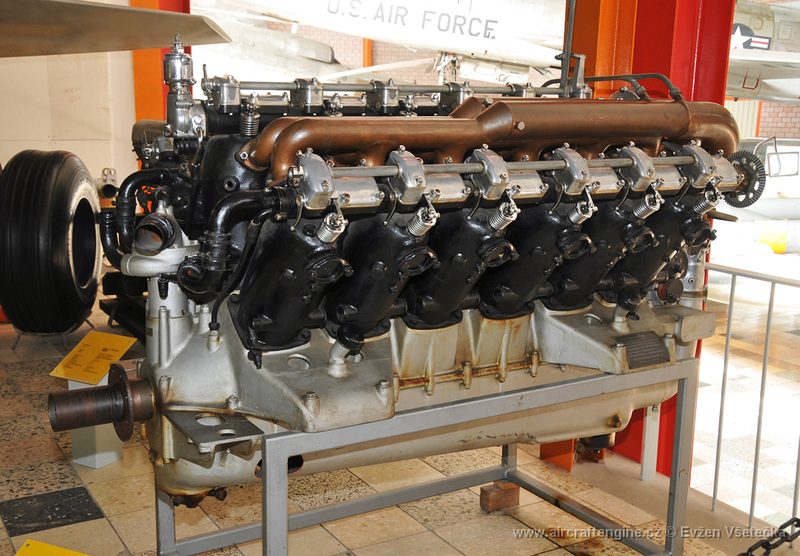 These engines were known as Class VI engines and would be used to power R-planes. Daimler Motoren Gesellschaft (Daimler) was one of the companies that worked to build a large Class VI aircraft engine. Daimler’s design was known as the D VI, but it is also referred to as the Mercedes D VI or Daimler-Mercedes D VI. Daimler often used the Mercedes name for many of its products. 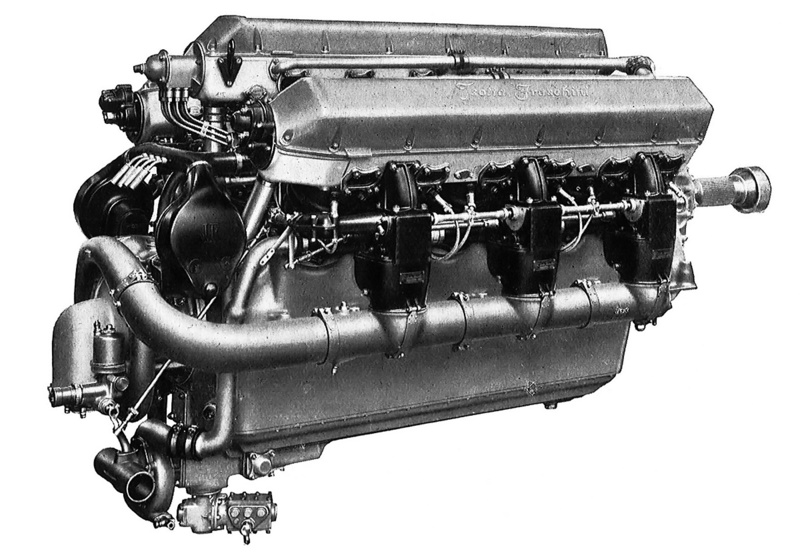 The D VI engine utilized the basic cylinder from the 180 hp (134 kW) Daimler-Mercedes D IIIa engine and incorporated features from the 260 hp (194 kW) D IVa engine. Both of those engines were six-cylinder inlines. 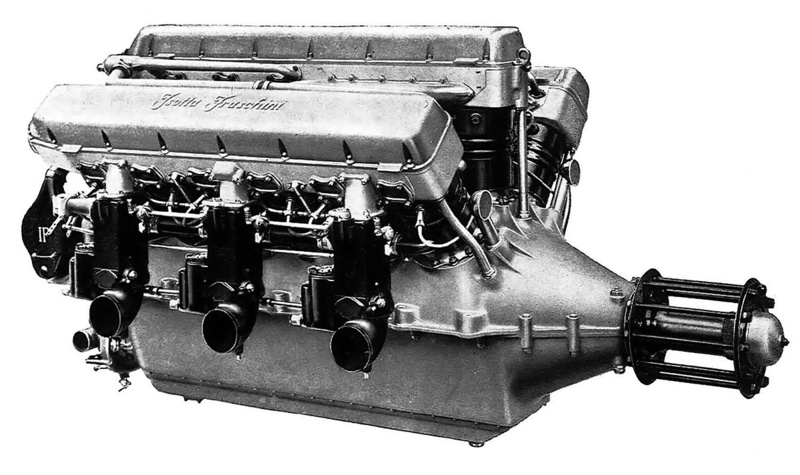 However, the D VI had three rows of six-cylinders, creating a W-18 engine. The center cylinder row was vertical, and the left and right rows were angled 40 degrees from the center row. The D VI engine used individual steel cylinders with one intake and one exhaust valve. The valves of each cylinder row were actuated by a single overhead camshaft driven from the rear of the engine via a vertical shaft. The camshaft acted upon rocker arms that protruded from the camshaft housing above each cylinder to the exposed cylinder valves. A water jacket made of pressed steel was welded to the cylinder. Each piston was made of a forged-steel head screwed and welded onto a cast iron skirt. The cylinder’s compression ratio was 4.7 to 1. Each cylinder was attached to the two-piece steel crankcase via four studs. Most likely, the studs for the center cylinder row extended into the bottom half of the crankcase and helped secure the two crankcase halves. The crankshaft was supported by seven main bearings and was connected directly to the propeller. A water pump was driven by the crankshaft at the front of the engine. At the rear of the engine, a vertical shaft extending from the crankshaft drove a magneto for each cylinder bank and an oil pump. Each of the cylinders had two spark plugs. Induction air was drawn into an air chamber inside the crankcase where it was warmed. The air then passed through two water-jacketed pipes cast integral with the lower crankcase half at the rear of the engine. The two pipes split into three inline carburetors, each feeding one cylinder bank via an intake manifold. The intake manifold was made of copper and was water-jacketed. The left cylinder bank had its intake manifold positioned on the right side. The center and right cylinder banks had their intake manifolds positioned on the left side. The exhaust was expelled from each cylinder via an individual stack on the side opposite the intake. Rear view of the D VI shows the engine’s induction stemming from the lower crankcase housing and feeding into the three carburetors. 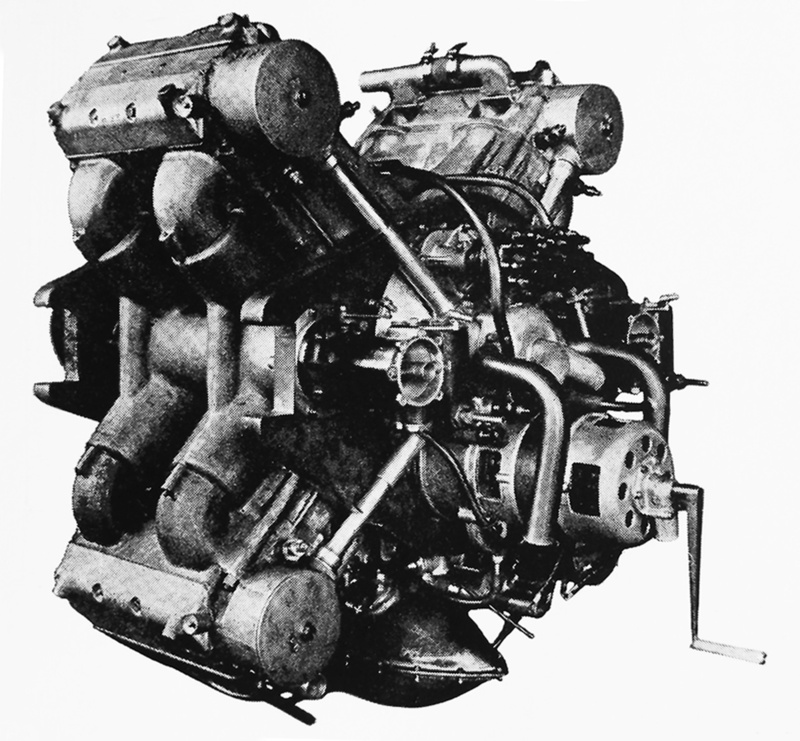 The D VI had a 5.51 in (140 mm) bore and a 6.30 in (160 mm) stroke. The engine’s total displacement was 2,705 cu in (44.3 L). The D VI produced 513 hp (382 kW) at 1,440 rpm for takeoff and had a maximum continuous output of 493 hp (368 kW) at 1,400 rpm. Specific fuel consumption was .477 lb/hp/hr (290 g/kW/h). 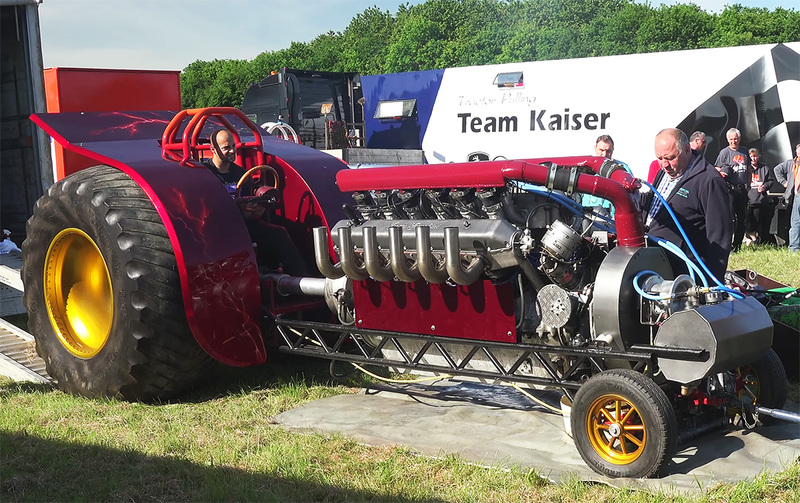 The engine weighed 1,636 lb (742 kg). The Daimler D VI engine was first run in 1916. However, development of the D IIIa and D IVa engines took priority, causing the D VI to lag behind. The D VI passed a certification test in December 1918, but World War I was over by that time, and such and engine was no longer needed. Military restrictions imposed on Germany by the Treaty of Versailles most likely influenced the abandonment of the D VI engine, and no further work was undertaken. 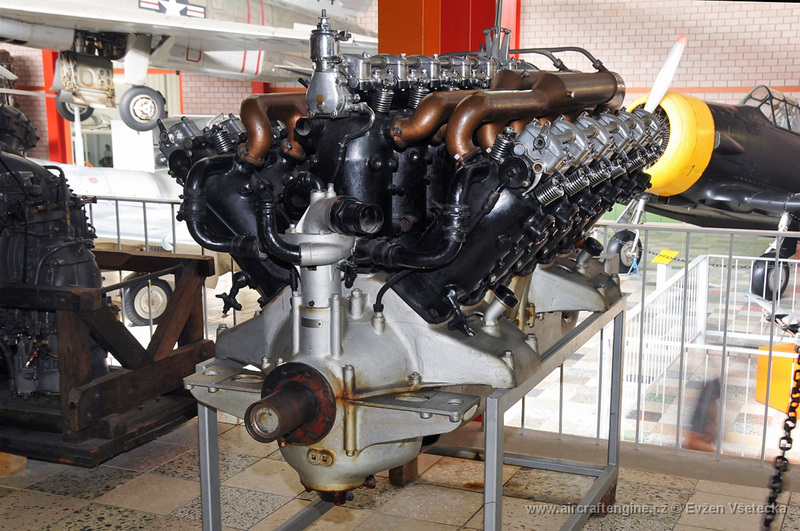 The sole surviving D VI engine has been preserved and is on display at the Flugausstellung L.+ P. Junior museum in Hermeskeil, Germany. This entry was posted in Aircraft Engines, Through World War I on 20 February 2019 by William Pearce. John Godfrey Parry Thomas was a British engineer and was widely known as Parry Thomas. During World War I, Thomas was a member of the Munitions Invention Board and was brought on as the chief engineer at Leyland Motors in 1917 to help the firm develop an aircraft engine. Allan Ferguson had been working at Leyland on the design of the aircraft engine. 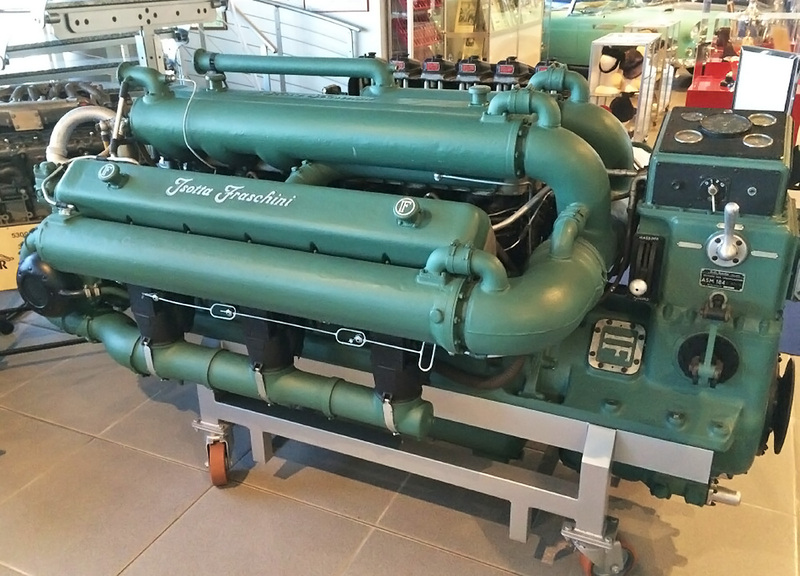 The engine Ferguson had designed was a 450 hp (336 kW), water-cooled W-18 with banks set at 40 degrees. Each bank consisted of two three-cylinder blocks, and there were plans to make a W-9 engine with just three banks of three cylinders. Long pushrods extended from camshafts in the crankcase between the cylinder banks to the top of the cylinders to actuate the overhead valves. 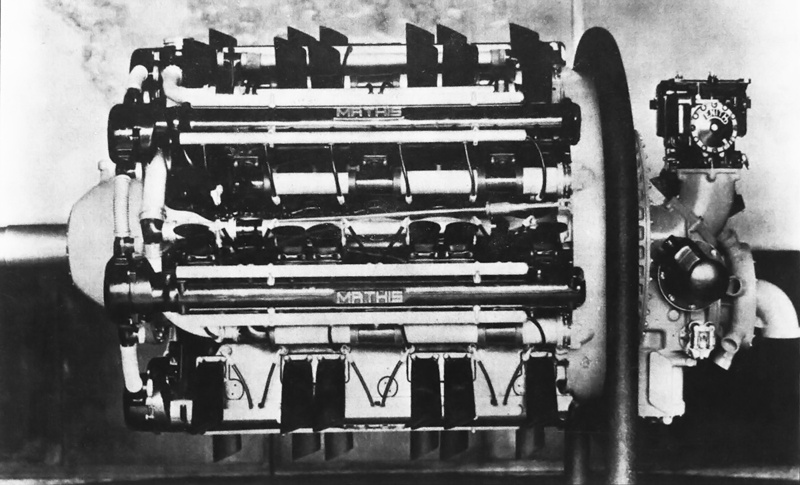 Thomas felt that the W-18 engine would not be successful and proposed his own design, which won the approval of Leyland management. The Thomas (Leyland) X-8 engine was made from aluminum and had many interesting features. At the rear of the engine, the handle is attached to a dynamo for starting. Just above the dynamo is the crankshaft-driven water pump. The engine’s carburetors are mounted on either side of the water pump. Note the integral passageways leading from the carburetor to the cylinders. The oil sump tank is positioned in the lower engine Vee. 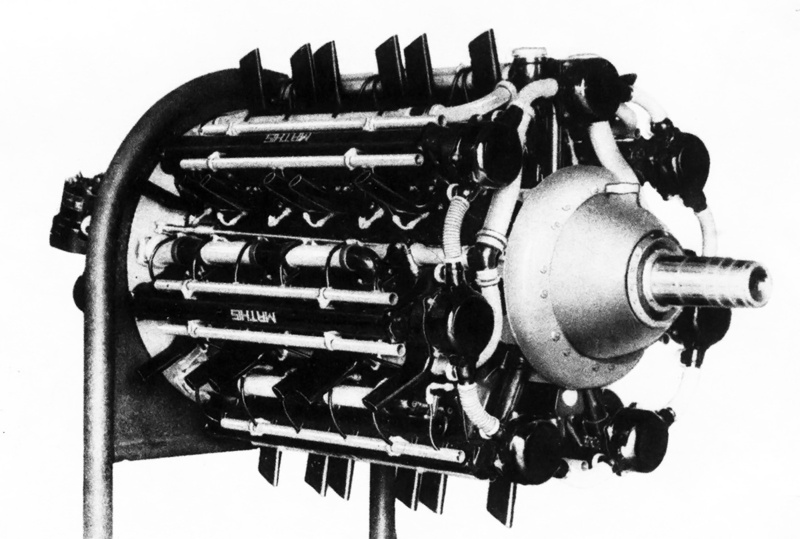 Assisted by Fred Sumner and Reid Railton, Thomas’ engine design was an X-8 with cylinder banks spaced at 90 degrees. Each cylinder bank consisted of two paired cylinders. 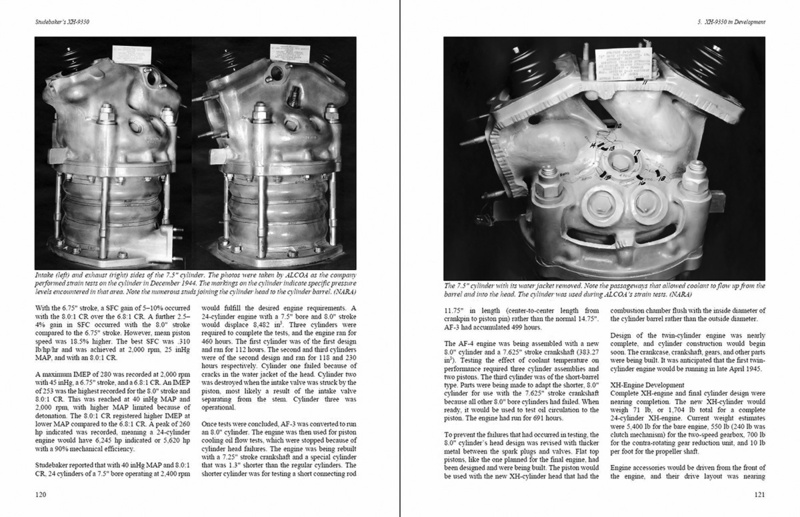 The cylinder banks were cast integral with the aluminum crankcase, and nickel-chrome cylinder wet liners were heat-shrunk into the cylinder banks. 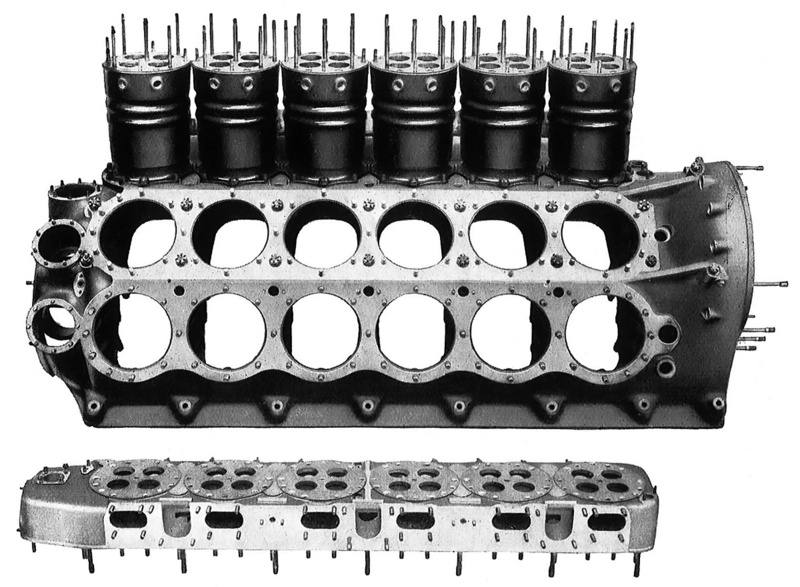 An aluminum cylinder head was attached to each cylinder bank via eight bolts. A propeller gear reduction was incorporated into the engine. The gear reduction used bevel gears and reduced the propeller speed to .50 times crankshaft speed. The gear reduction kept the propeller position in line with the crankshaft. A single overhead camshaft operated the two intake and two exhaust valves for each cylinder. 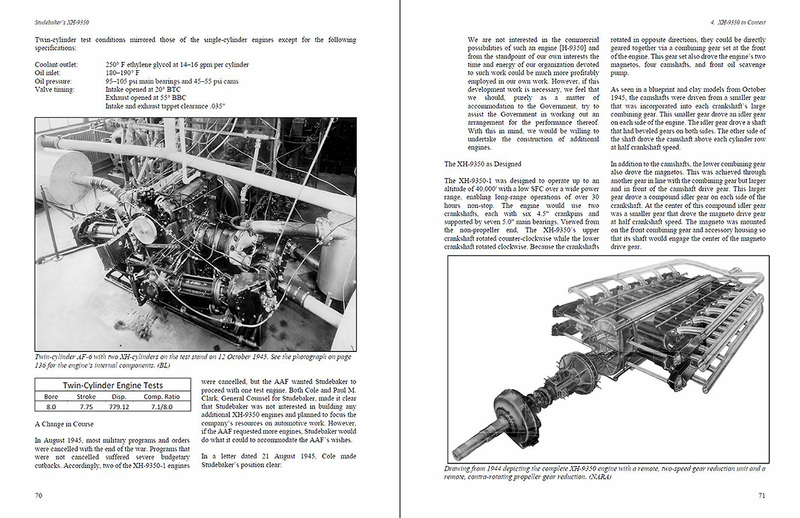 The camshaft was driven via a vertical shaft at the rear of the engine. The valves were closed by leaf springs. Via adjustable screws, one end of a leaf spring was attached to an intake valve while the other end of the spring was attached to an exhaust valve. The springs were allowed to articulate at their mounting point so that as one valve was opened, additional tension was applied to the closed valve for an even tighter seal. Two carburetors were positioned at the rear of the engine, with each carburetor providing the air/fuel mixture for one side of the engine. Each carburetor was mounted to an integral intake passageway in the crankcase, with four individual ducts branching off from the passageway. Each duct connected one cylinder to the intake passageway. Exhaust was expelled from the upper and lower engine Vees. Each cylinder had two spark plugs fired by either a magneto or battery ignition. A water pump driven at the rear of the engine by the crankshaft circulated water through the engine at around 48 gpm (182 L). The coolant flowed into the cylinder banks and around the exhaust ports to keep the exhaust valves cool. A pipe system enabled water to flow through the hollow crankshaft at 10 gpm (36 L), cooling the three main bearings and two connecting rod bearings. The water also cooled the oil that flowed through the crankshaft and to the bearings. To further cool the oil, the water and oil flowed into the propeller gear reduction, where the oil passed along the finned outer side of the water-cooled propeller shaft. Attached to each of the crankshaft’s two crankpins was a master connecting rod, and three articulated rods were attached to each master rod. 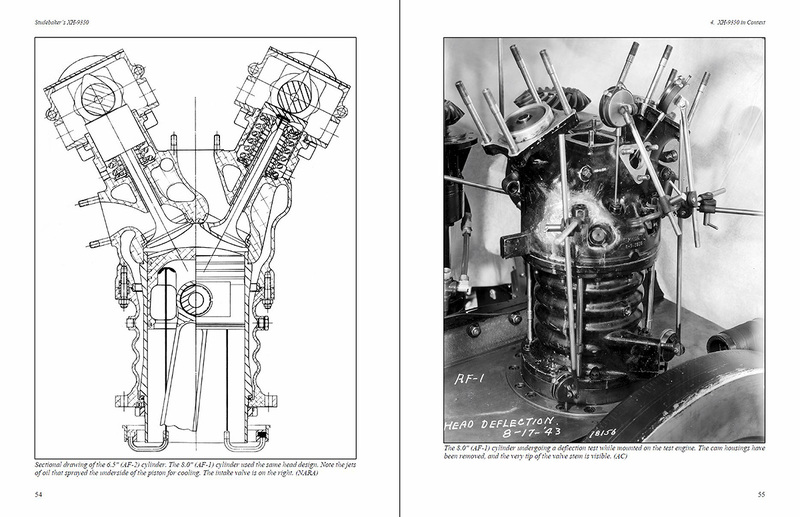 The crankshaft had both of its crankpins inline, which meant that the pistons for one cylinder bank would both be at top dead center at the same time. One source states that the crankpins were in the same phase, meaning the two cylinders of the same bank would be on the same stroke, essentially making the X-8 engine operate like two synchronized X-4 engines. This was reportedly done to prevent any rocking motion created by the front X-4 firing followed by a rear X-4-cylinder firing 90 degrees later. However, a different source says the cylinders were phased 360 degrees apart, which would make more sense. While the pistons of one cylinder bank were both at top dead center, one cylinder was starting the intake stroke while the other was starting the power stroke. The 360-degree phasing would create a rather smooth firing order, such as bank 1 front cylinder (1F), bank 2 rear cylinder (2R), 3F, 4R, 1R, 2F, 3R, and 4F. However, the engine’s true firing order is not known. A dry-sump lubrication system was used. Oil from the engine was collected in a one gallon (4.5 L) tank mounted in the lower engine Vee. The oil was then returned to a main oil tank of approximately eight gallons (32 L) installed in the aircraft. For starting, the X-8 engine used an electric starter motor or a hand-cranked dynamo. The engine incorporated an interrupter gear for firing guns through the propeller arc. 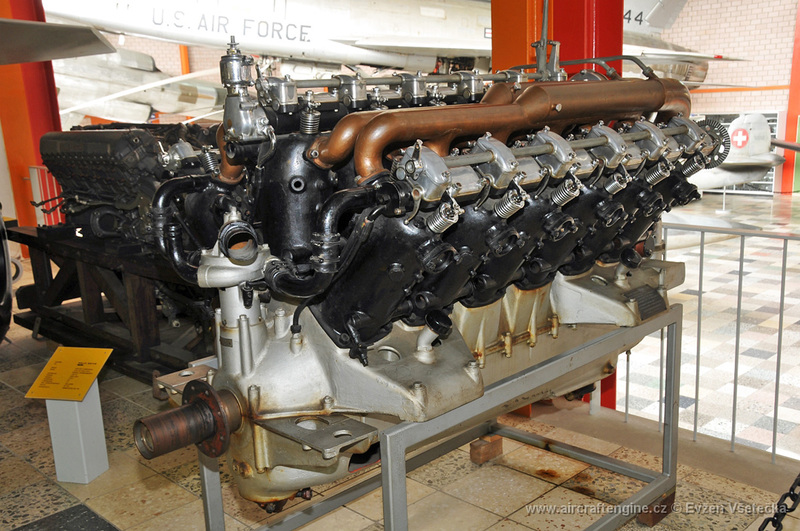 The X-8 engine had a 6.0 in (152 mm) bore and a 4.5 in (114 mm) stroke. The engine displaced 1,018 cu in (16.7 L) and produced 300 hp (224 kW) at 2,500 rpm and 10,000 ft (3,048 m). Maximum engine speed was around 3,500 rpm. 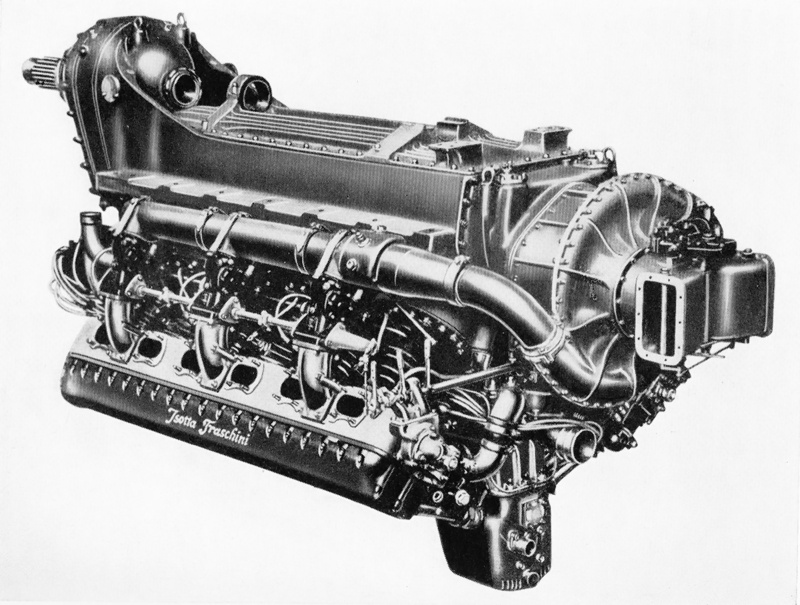 The X-8 engine weighed around 500 lb (227 kg). For the time, 500 lb (227 kg) was remarkably light for a 300 hp (224 kW) engine. The X-8 was noted as being very compact, but a list of engine dimensions has not been found. Patent drawing of the X-8’s crankshaft with its inline crankpins. 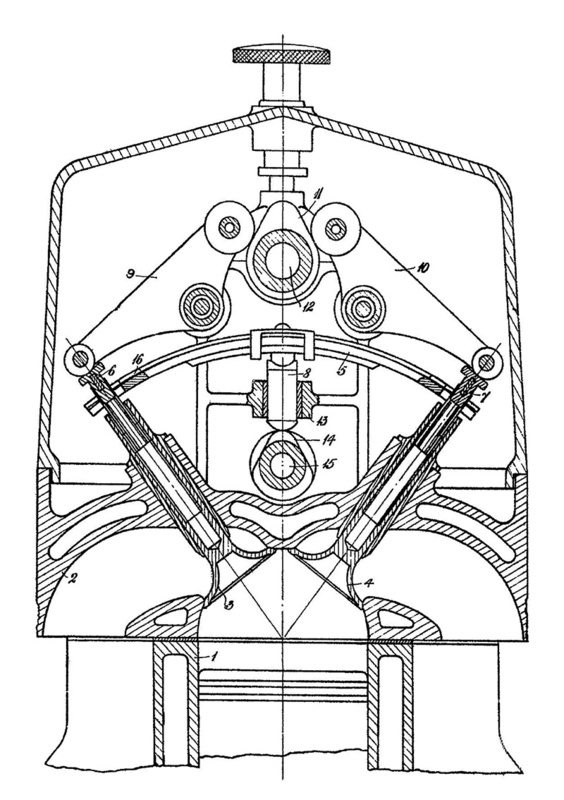 The water pump (4) housed the crankshaft-driven impeller (9). Water was pumped through an inlet (11), through a passageway (10), and into the pipe built-up in the hollow crankshaft. The water then flowed through the propeller shaft (36) to cool oil in an adjacent passageway (45). The design of the Thomas X-8 was completed in December 1917 and submitted to the Air Ministry. Thomas initiated an extensive part-testing program that resulted in the creation of numerous test fixtures. In conjunction with the test-fixtures, A single-cylinder test engine was built and tested in 1918. The single-cylinder produced 37 hp (28 kW) at 2,500 rpm and 53 hp (40 kW) at 3,700 rpm. These outputs equated to 296 hp (221 kW) and 424 hp (316 kW) respectively for the complete eight-cylinder engine. However, the piston in the single-cylinder engine failed after five minutes of running between 3,500 and 3,700 rpm. 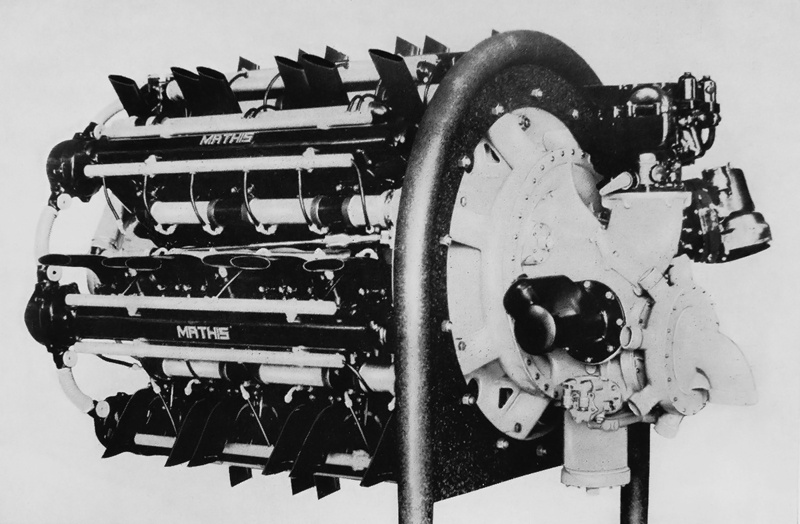 A complete X-8 engine was built and run for the first time in August 1918. 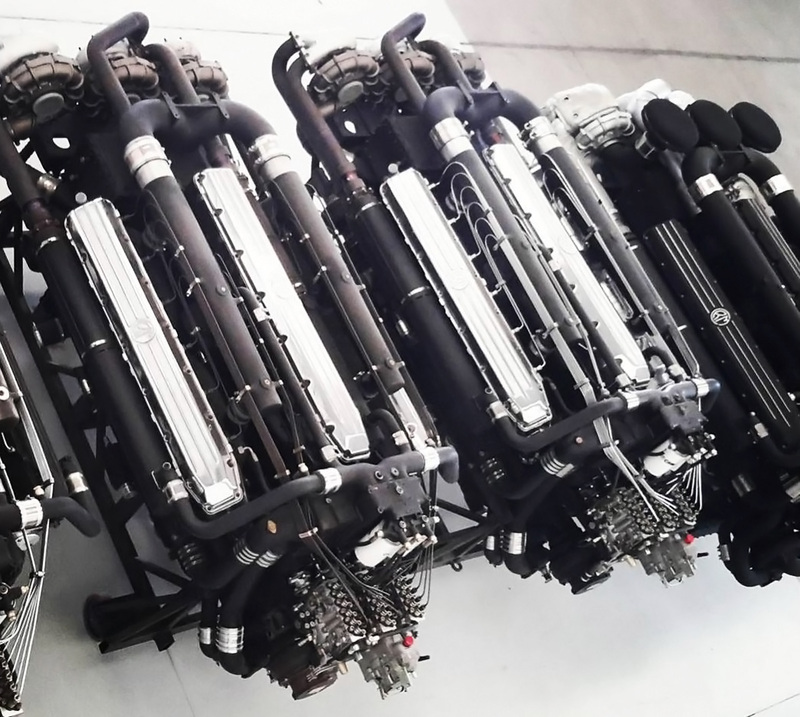 Compression ratios of 5.8 and 6.3 were used on the single-cylinder engine, but the compression ratio of the complete engine has not been found. Reportedly, the engine was hastily assembled because government inspectors wanted the test two weeks earlier than planned. 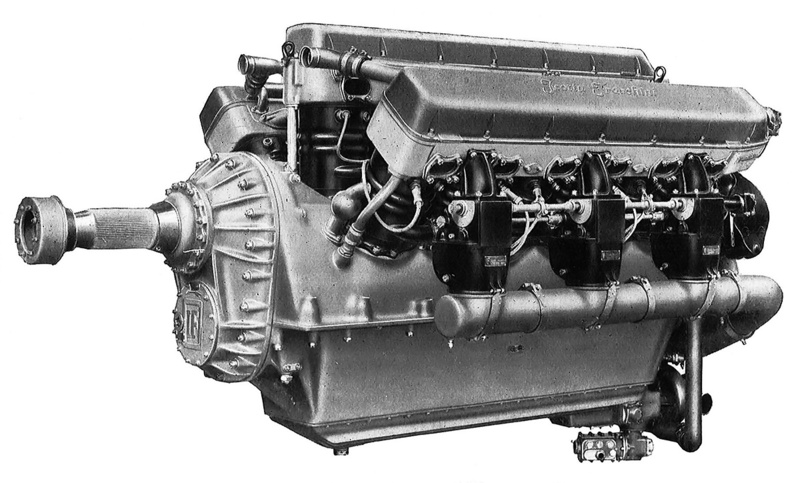 The X-8 engine’s lightly-built crankcase deformed and closed in the crankshaft bearing clearance, resulting in the engine seizing after a few hours of running. With the end of World War I on 11 November 1918, further work on the Thomas X-8 engine was abandoned. 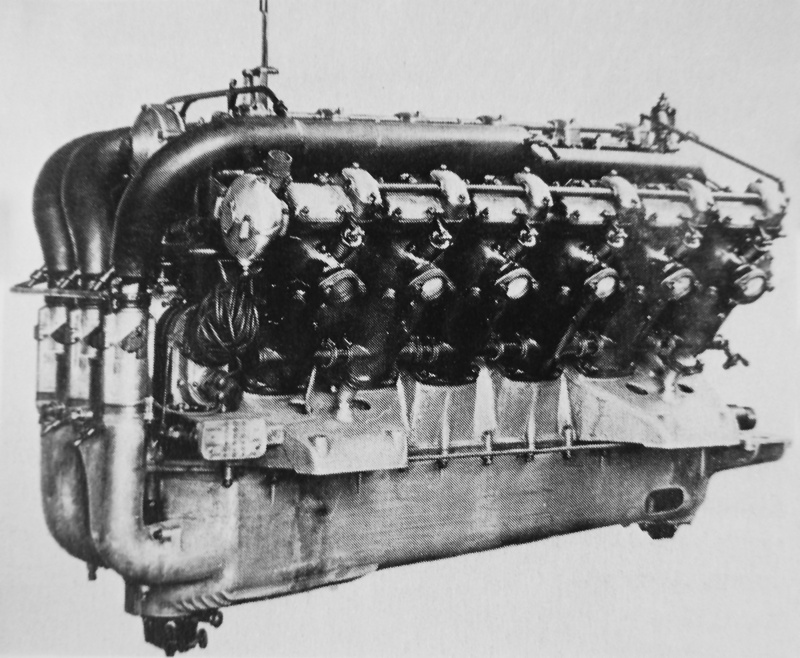 A number of features from the aircraft engine were later used on the Leyland automotive straight-eight engine developed in 1920. 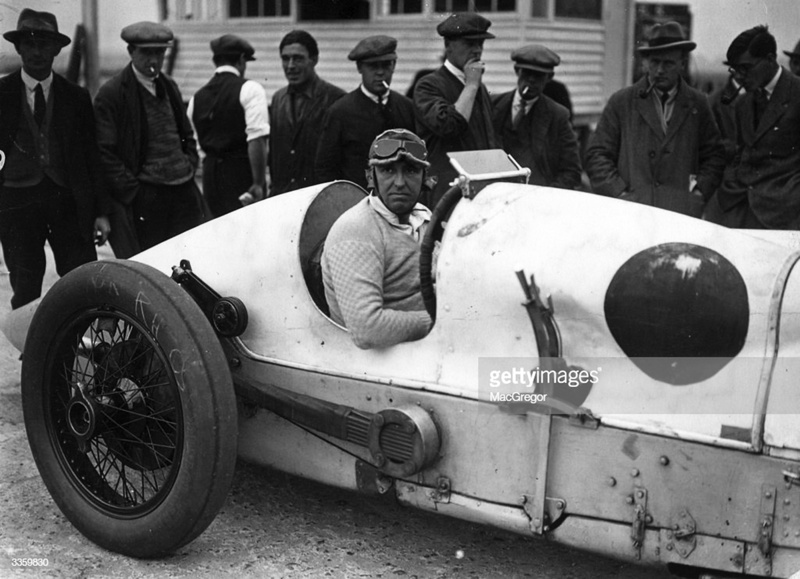 Thomas went on to become a legend at the Brooklands Raceway, campaign one of the first aero-engined Land Speed Record (LSR) monster cars, and set a flying-mile (1.6 km) LSR of 170.624 mph (274.593 km/h) on 28 April 1926. Thomas tragically died in a crash attempting another LSR on 3 March 1927. His death marked the first time a driver was killed while in direct pursuit of a LSR. This entry was posted in Aircraft Engines, Through World War I on 5 January 2019 by William Pearce.